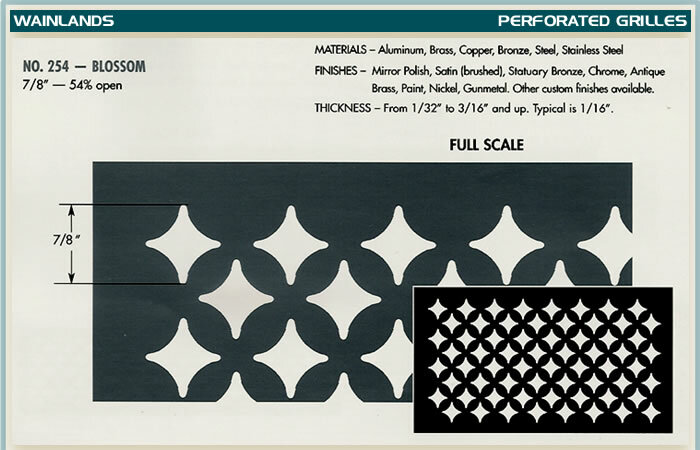 Made from sheet material in a single flat metal piece. 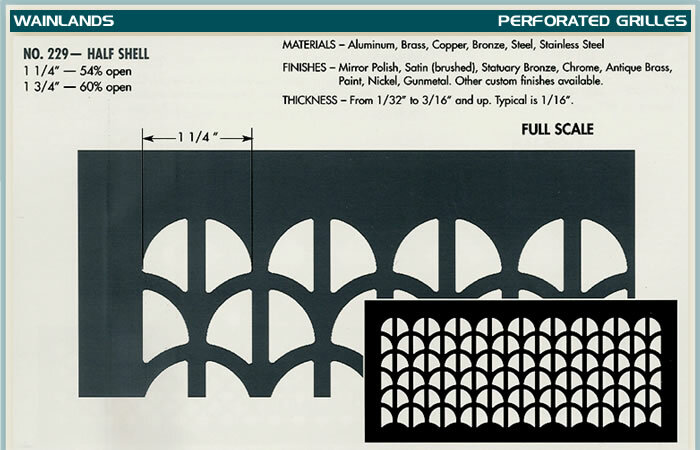 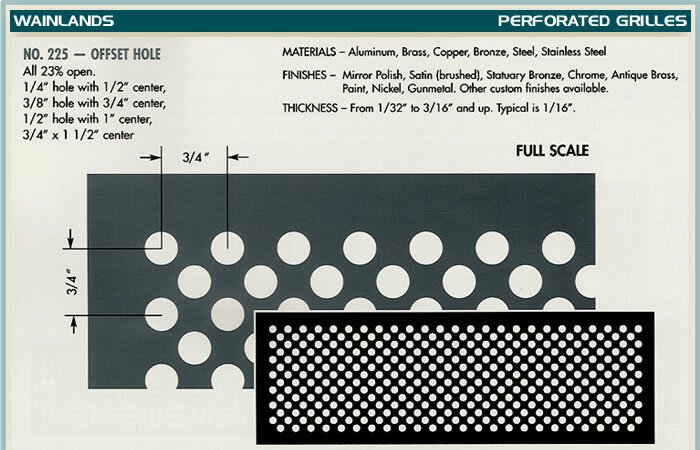 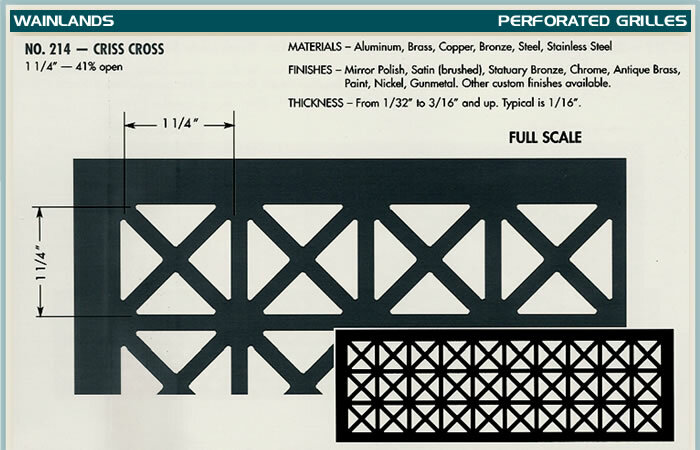 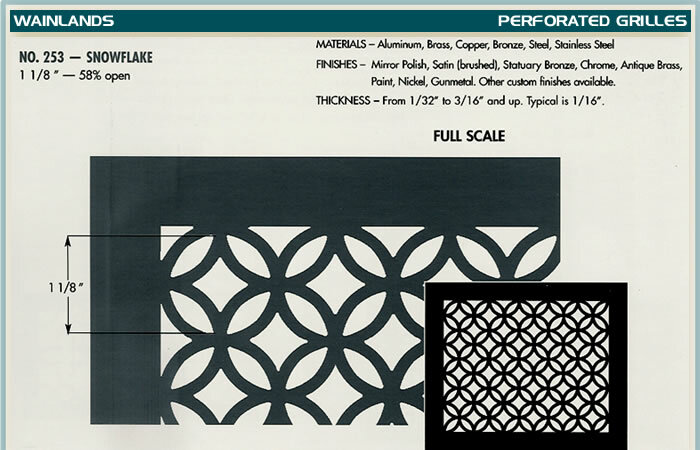 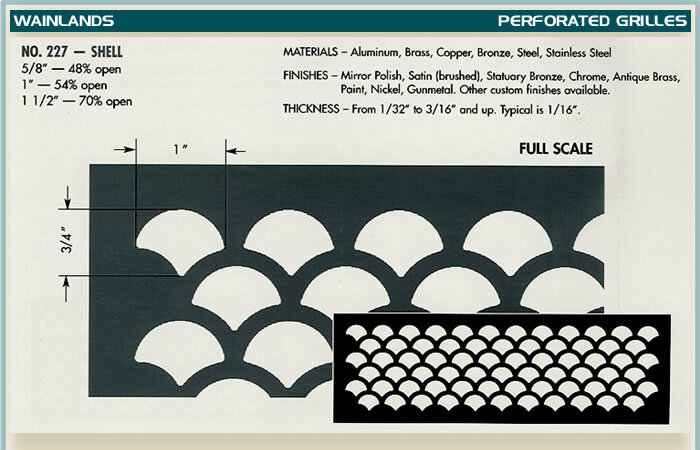 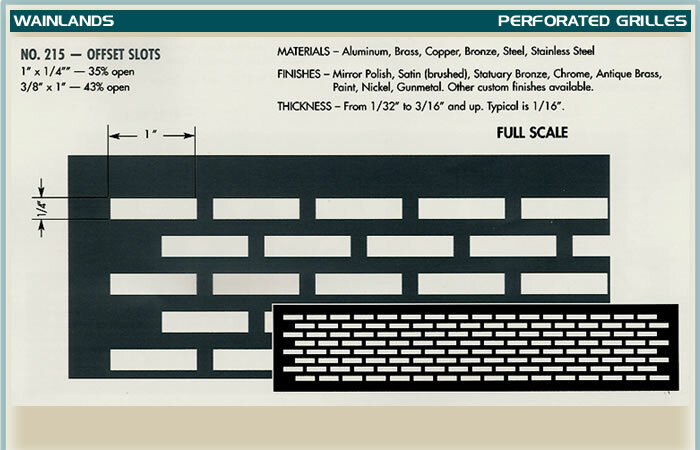 Available thicknesses are 1/16" and 1/8", but can vary if required. 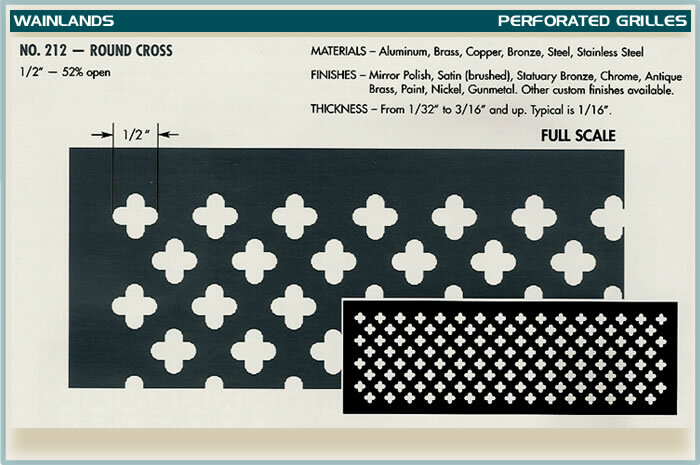 Design shapes are punched or laser cut out to make pattern. 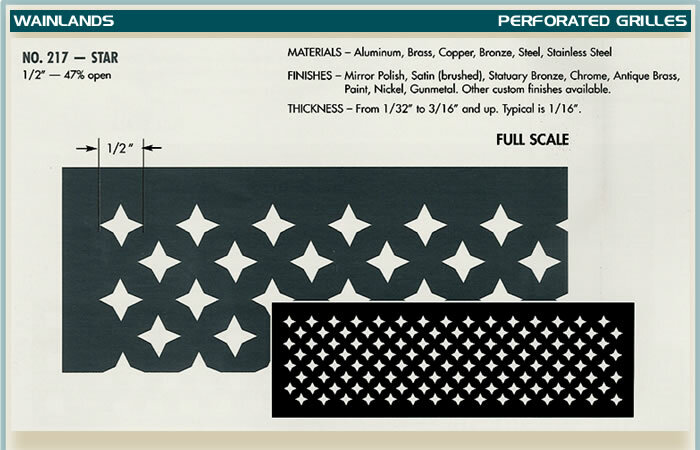 Pattern shape proportions are constant. 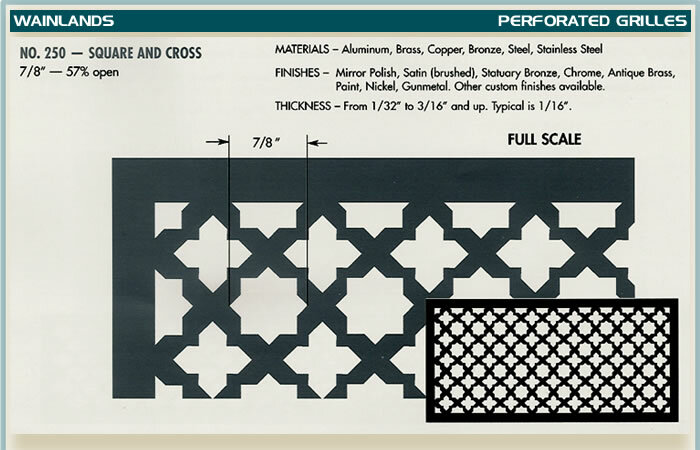 Border sizes vary depending upon the size of grille. 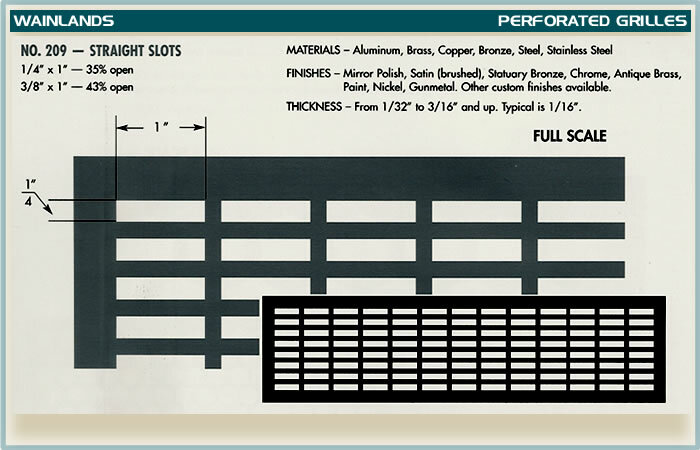 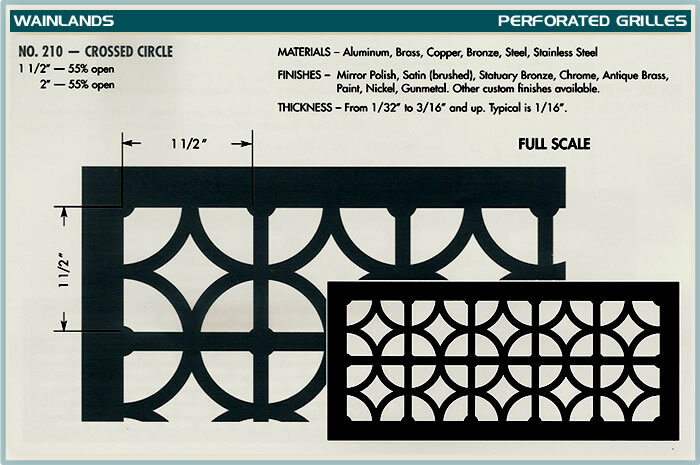 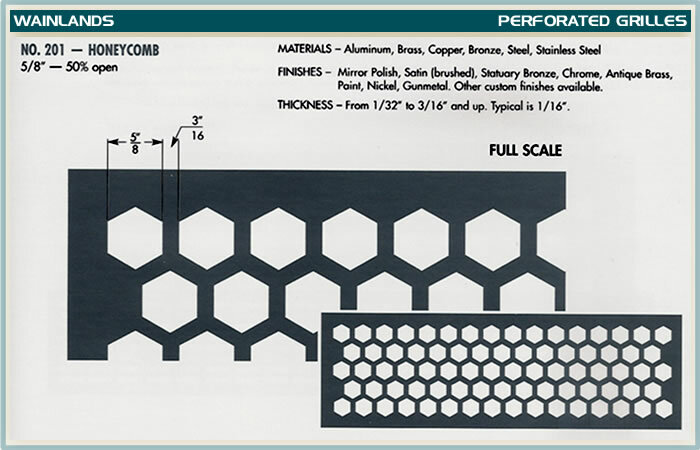 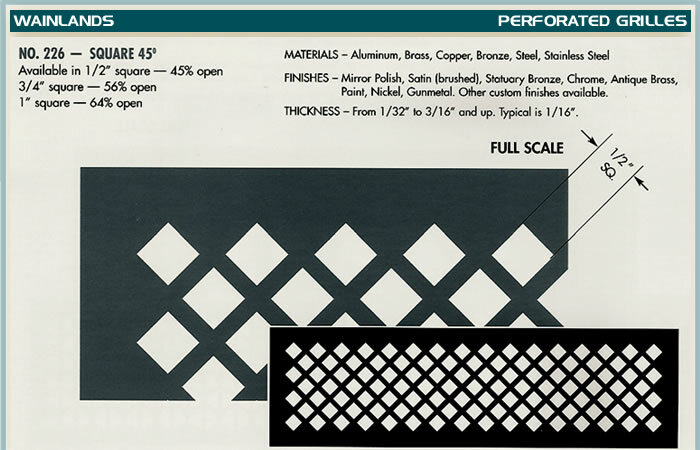 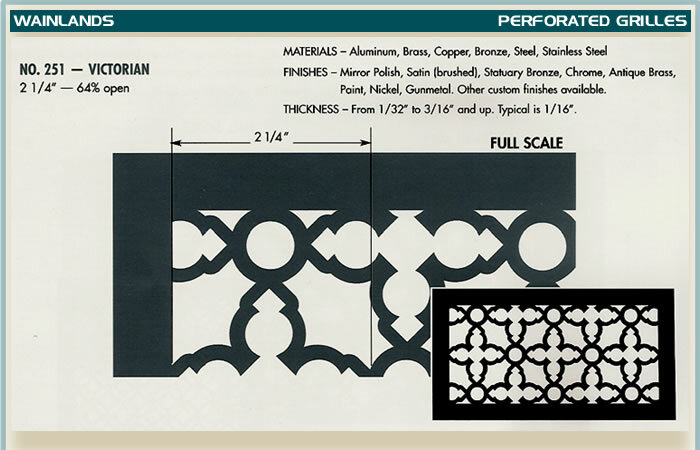 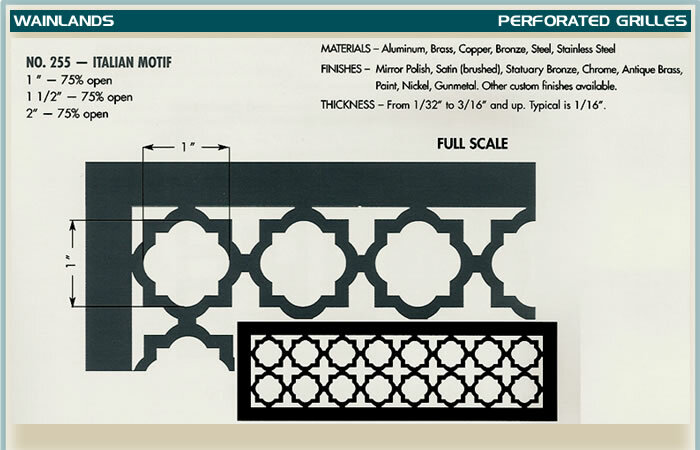 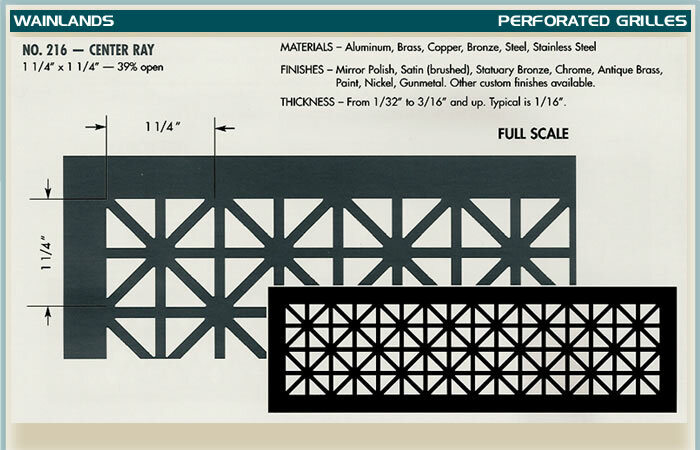 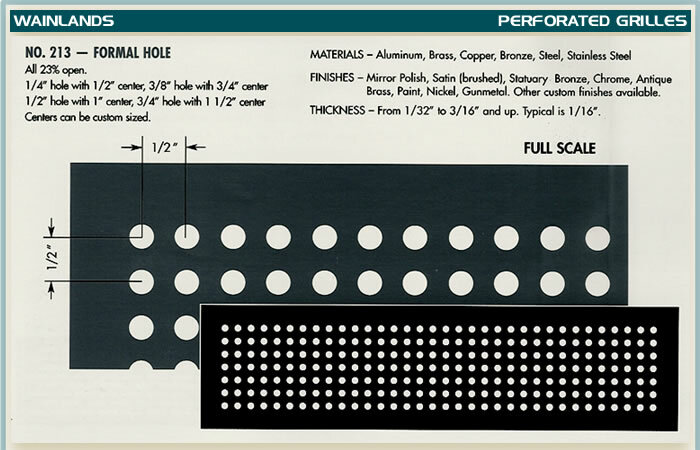 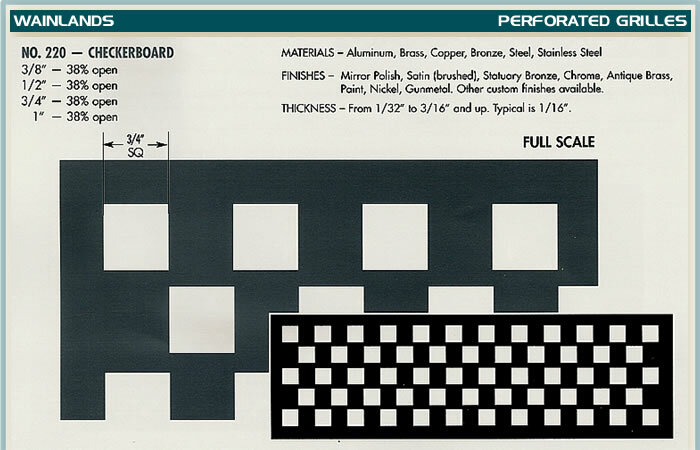 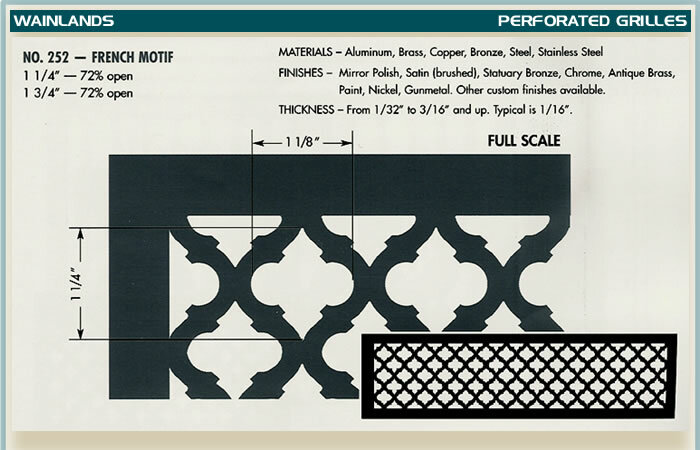 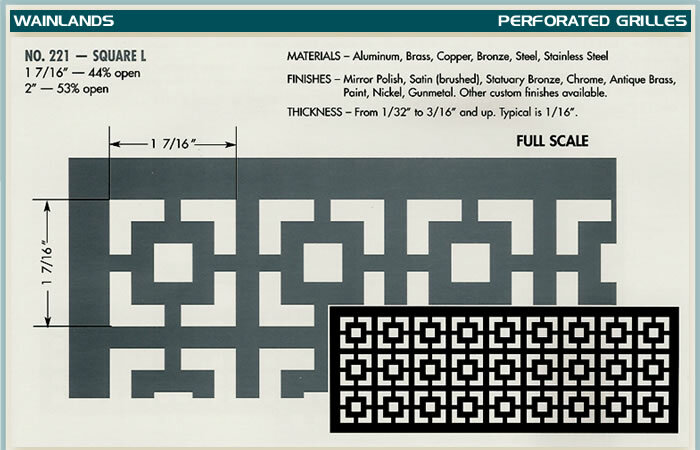 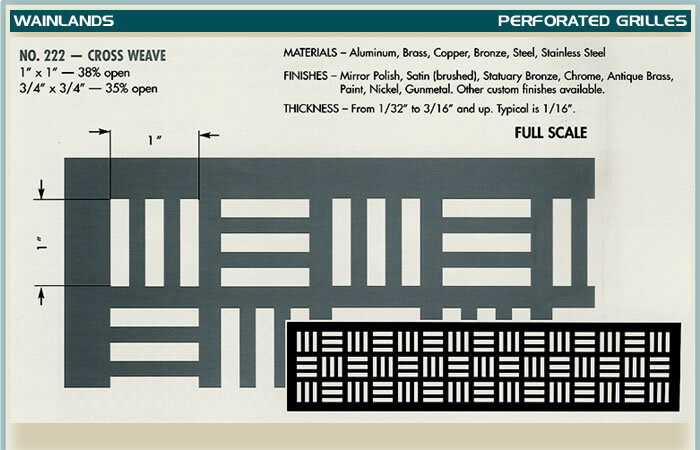 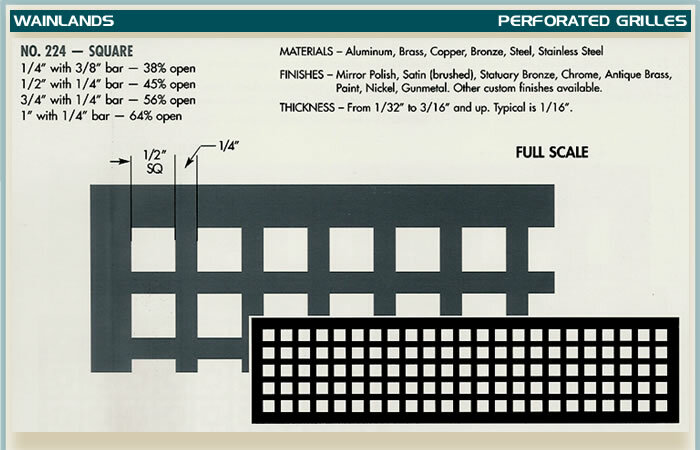 Border sizes range from 1/2" on small grilles to 1" on large grilles. 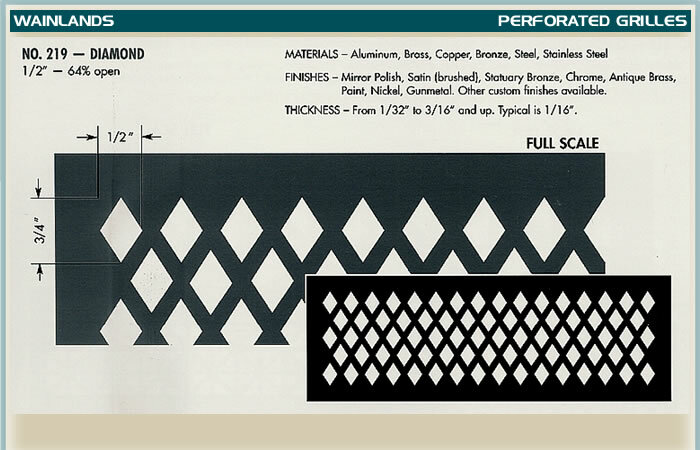 These borders decorate and hide the edges of the opening. 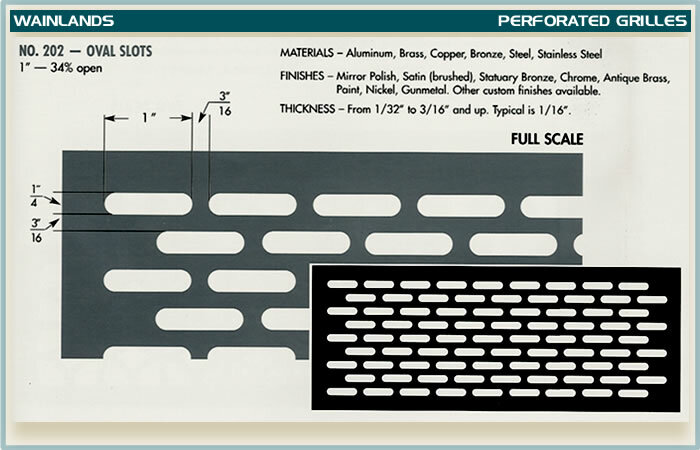 Typically, grilles are mounted with screws.